Receive a Free Consult and Evaluation* through February 28, 2019. 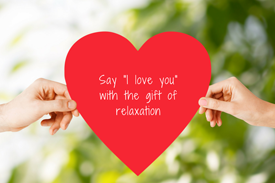 Nothing says “I Love You” like a gift certificate for a massage!!! Come by our office and get your sweetie a gift certificate for a massage or two!